← 5G: What’s the best defense for harmful EMFs? Engineered Train Crash Could Have Wiped Out the Republican Majority in Congress! …even if it means taking out half the GOP members of the U.S. Congress. SOTN put the nation on notice with our “RED ALERT” published on January 25th about the extreme dangers associated with the exploding FISAgate scandal. The following article was specifically posted to warn all concerned parties that Deep State will do whatever is necessary to overthrow the Trump administration. And so they are! The photos posted at the following link reveal a crime scene that was carefully set up by all the usual suspects. False flag black operations like this just don’t happen; they demand meticulous planning and flawless execution. There has never been a more radioactive and explosive scandal in the United States of America than FISAgate. Truly, FISAgate has the very real potential to bring down the Democratic Party, the FBI, the DOJ and the CIA as well as other institutional co-conspirators. Yes, it’s that HUGE, and yet the American people have only seen a tiny tip of this Deep State iceberg. In fact, the 4-page FISA Memo itself only contains a glimpse into the serial criminality and rampant corruption that drove this unparalleled and [ONGOING] Obama Administration-Clinton Campaign crime wave. Special Note: What better way to overthrow the POTUS than to significantly alter the voting calculus in the 115th United States Congress. Were the Amtrak train crash to take away the Republican majorities in both houses, impeachment would be guaranteed followed by a kangaroo-court trial in a newly Democrat-dominated Senate. The train wreck fits an unprecedented pattern of outright violence being perpetrated against GOP members of Congress. First there was the 2017 Congressional baseball shooting whereby a self-proclaimed liberal sniper took out Rep. Steve Scalise, the House Majority Whip and number 3 in the Republican leadership. That was followed by the deliberate assault and incapacitation of Sen. Rand Paul by another liberal hitman who is now up on federal felony charges for “assaulting a member of Congress resulting in personal injury”. Clearly, agents of Deep State have been given explicit orders to flip the current majorities in Congress in an effort to remove President Trump. It’s gonna get very ugly before this epic political superstorm completely blows over. And there’s no stopping it because of what’s at stake for both sides. 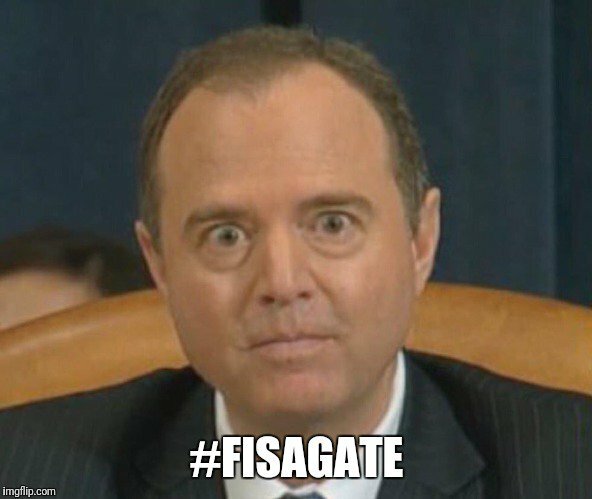 You can see from the preceding photo that FISAgate ringleader Adam Schiff is really worried, as he should be. This treasonous cabal is guilty of so many serious crimes and so much inconceivable corruption it boggles the mind…as the #FISAGATE picture above clearly illustrates. 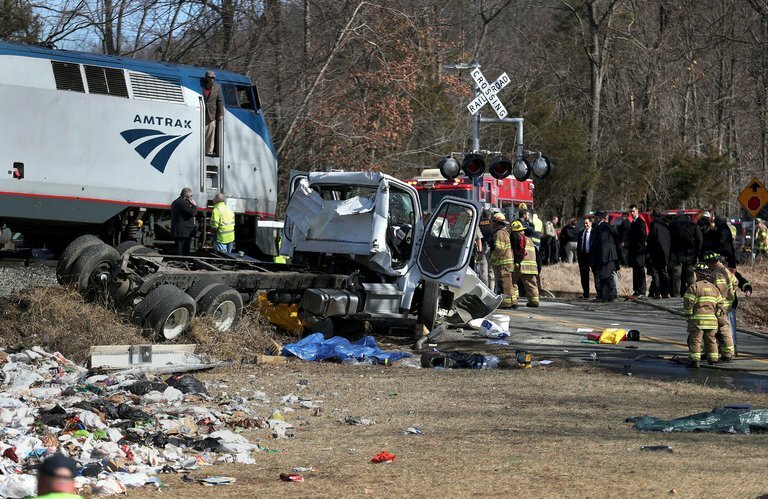 As for yesterday’s highly suspicious train wreck, it will become crystal clear that: AMTRAK crashes don’t just occur like this when they’re carrying a trainload of GOP congressmen; they’re made to happen.